In Youth Action Labs organized around the US by the Alliance for Climate Education (ACE), high school students develop the leadership skills they need to take action to address climate change and its impacts in their communities. 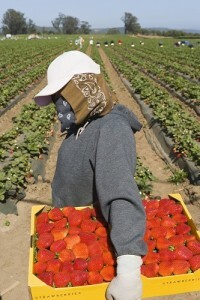 California’s Central Coast is dotted with small farmworker communities whose residents labor in the fields that produce much of the nation’s berries and lettuce. Action Labs helped Central Coast students understand and educate their communities about the relationships among climate change, food systems, and health. Work in the fields is already hot and dusty, and climate change brings higher temperatures and drought, increasing the risk of heat illness and Valley Fever. Drought also means unemployment for many farmworkers, who have few job protections; and the combination of low wages, job loss, and rising food prices due to the drought means that farmworker families face increased levels of food insecurity. Students quickly recognized that farmworkers — their own families and friends, and among the hardest workers in the US — are likely to be especially hard-hit by climate change. Youth-led ACE works nationally to educate and inspire young people to tackle climate change. ACE’s goal by 2020 is to educate, inspire, and activate 12 million teens and young adults as part of a multigenerational force for carbon reduction and healthy communities. The Central Coast Action Labs have been a place for students to talk about climate change issues that their community and families already face on a daily basis, and about how climate change impacts the food system and public health. With guidance from ACE’s AshEL Eldridge, students from Watsonville, Salinas, Santa Cruz, and Gonzales launched a regional Follow the Food campaign. 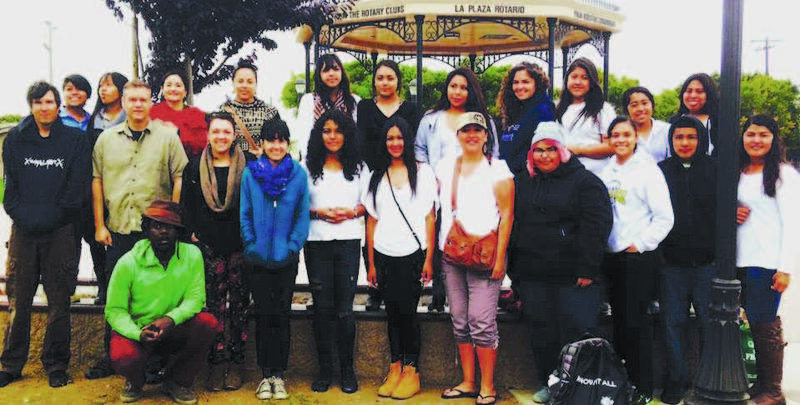 Recognizing that healthy and strong communities begin with appreciation for one’s community, the students organized the first ever Central Coast Farmworker Appreciation Day, held in June 2014. Organizations from around the state such as Building Healthy Communities, the Food Empowerment Project, Baktun 12, Alba Farms and Community Food and Justice Coalition collaborated with local community leaders to support the event. Youth, farmworkers, community leaders, local organizations, and businesses joined together to celebrate farmworkers, and provided a platform for the Central Coast community to raise their voices about the environmental and economic issues that affect the physical health of communities in the region. The day not only provided the opportunity to honor those who help put food on our plates, but also provided the opportunity to raise awareness and understanding about the impacts of climate change on our health and well-being. While Farmworker Appreciation Day brought people together to honor the farmworkers of California’s Central Coast, the students know that organizing and community building can’t stop with this one event. 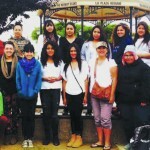 These youth plan to continue working together toward a healthier, more resilient community. Courtney Gonzales is a Communication Specialist with the Community Food and Justice Coalition. Jennifer Miller is a Senior Researcher with the Public Health Institute.